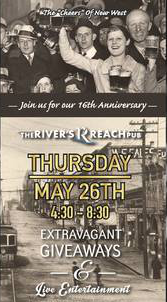 The River’s Reach Pub is the place to be for great food, drinks, music, sports and always a great party. We invite you to look through our website and familiarize yourself with our unique style and tremendous atmosphere. We offer an elaborate and well crafted menu on both our food and drinks. 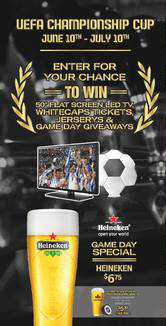 Come down and check out our ‘historical décor’, or catch the big game on one of our 20 Big Screen TVs.